As part of our inquiry into 'You Have a Friend', we have been learning all about one another and are starting to appreciate what a neat, diverse bunch of people we are in B5. We all look a little different, come from different families and cultures, and like different things. 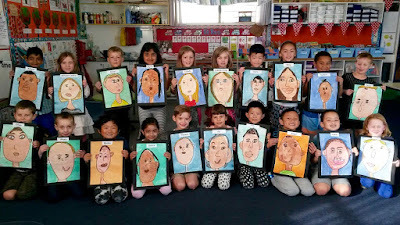 We spent some time admiring ourselves in the mirror and then created some awesome individual portraits. First we used a pencil to draw an outline, filled it in with coloured dye (waiting for each colour to dry in between). We used oil pastels to colour our hair and eyes, jovi for our lips and and then went over the outline in black marker. 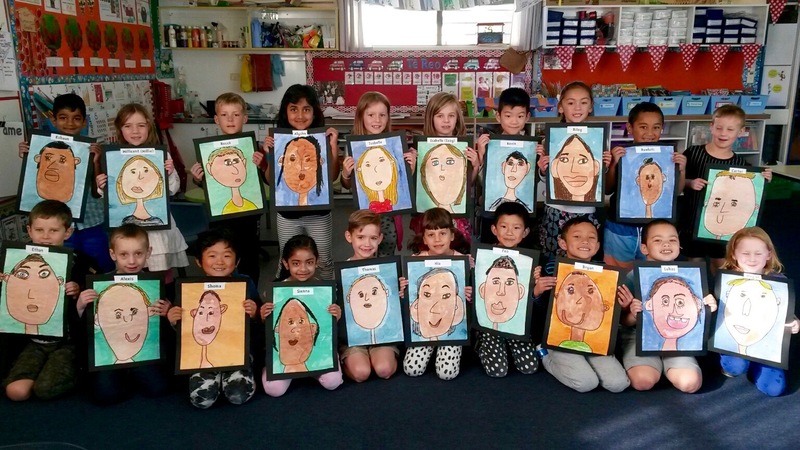 Check out our super-duper portraits next time you're in our classroom. We think you have all done a great job with your portraits. Each one of you have made your portrait look like you! You have also used the space on your paper effectively. What was your favourite part of doing the portraits? Kevin's favourite thing was using the coloured dye. Lily's favourite was using the pastels and dye together. Feo enjoyed drawing the face. Michelle enjoyed drawing the face and dying it. Sienna's favourite bit was drawing the hair. Rawhiti's favourite part of his portrait was his hair and his hat. Amazing work B5. Really love your self portraits!